Happy first Friday in March! Can you believe we’re almost 1/4 of the way through 2016? Unreal! So much good information for us bloggers in this post by Jillian Harris – love her blog! What are you up to this weekend? One thing we’ll be doing is binge watching the newest season of House of Cards on Netflix. It’s a great series! Did you have any favourite Oscar gowns this year? Mine was Naomi Watts by a landslide. I wouldn’t have been able to stop staring at my dress if I were her. So gorgeous. Have you seen Foreo’s newest innovation? 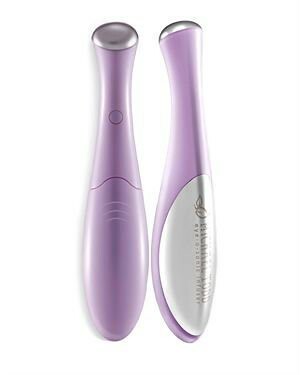 It’s called the Iris Illuminating Eye Massager and it’s meant to rid your eyes of signs of aging and fatigue. Interesting concept…I’d definitely want to see some proof of the longer term benefits before I’d consider it. I’m contemplating hopping on the FitBit train this weekend. I feel like people either love or hate them – thoughts? I really like the look of the Alta but who knows how long it will take until it’s available in Canada. My concern is that I’ve heard bad things about their wrist bands – maybe I should consider other brands too? Totally should have done a What Should I Buy post on this! And it’s useless. Just utterly useless. Good thing I only paid $20 for it and the serum. LOL okay well that’s good to know – $20 is a lot less than $160 or whatever it costs! I remember reading something about your Fitbit allergy. That worries me a bit as I have really sensitive skin. I’ve read that it’s a popular concern and that people lose them easily because of the design of band too. You’d think they’d be able to fix that!